The renovated, 1950s ranch house is chic with personal touches. 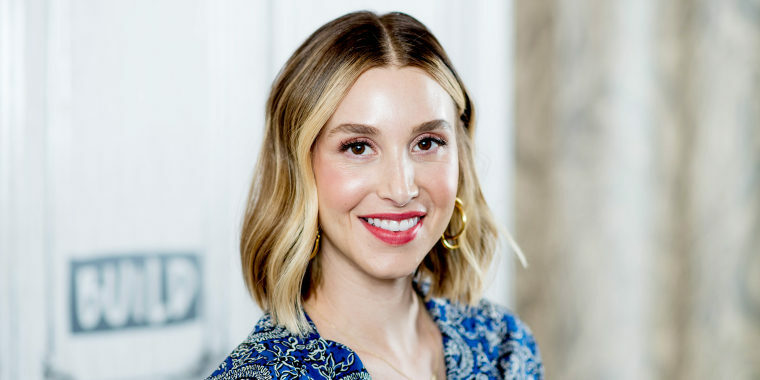 It was a house that needed a lot of work, and Whitney Port was six months pregnant with her first child when she came across it, but that didn’t stop the 33-year-old fashion designer and former star of “The Hills” from taking on the challenge. In a new feature for Architectural Digest, Port shows off the home she and her husband, Tim Rosenman, moved into a week before their son, Sonny, was born. The 1950s Los Angeles ranch house had only one previous owner, so it was due for a refresh. Port found interior designer Marie Flanigan on Instagram and enlisted her to help. While they’re still in the process of renovating (“We're trying not to be too hard on ourselves to get it all done in the first year of Sonny's life,” Port explained), the kitchen and dining area was the most recently completed project. In the kitchen, sunlight streams in through an oversize window. Dark and elegant Arizona quartzite from Aria Stone Gallery makes up the countertops and backsplash, creating a beautiful contrast to the light oak cabinets. The breakfast area features hand-painted wallpaper from Gracie Studio, featuring blowing leaves scattered all around. If you look closely, you’ll see a special touch requested by Port: seven hand-painted hummingbirds to represent her siblings and parents. Outside, Port and Flanigan set up a lounge area near the pool as well as a large outdoor table, perfect for al fresco dining. "Since we just finished the backyard, we're just starting to get into entertaining," Port said. "My husband loves to entertain, and I'm starting to get into it. We'll be doing a lot of entertaining this summer." It looks like a great place to throw a party! See more pictures of this fixer-upper dream home at Architectural Digest.